I read this article and wanted to share it with you: Practical Pointers: Combining with a single Core https://blog.sonlight.com/practical-pointers-combining-with-a-single-core.html. I must admit, one of most favorite memories of using Sonlight when my kids were younger was the ability to combine them all using the same Core materials. With five years separating our youngest and oldest, it wasn't always feasible, but when it was, it made for some great memories! Using a literature-based curriculum to allow students of different ages to study together can be a foreign concept for some folks. As a culture, we are so "grade-oriented" that using the same materials to teach children of different ages is difficult to grasp. I've encountered many dads, who tend to be more concrete and logical thinkers (a 6 year old should study 1st grade materials!! ), who have a multitude of questions about how well this approach really works! Often it makes more sense when I simply share an example from our own homeschool. When our children were in grades 4, 6, and 9, we did Core F (Eastern Hemisphere) together. Though it was a bit "young" for my oldest, and a bit "old" for my youngest (the grade range for this Core is 5th-8th grades), it was not difficult to "tweak" it just a bit to make it doable for all three children. Tweak #1: At the time we did Core F (then Core 5), my youngest was reading independently, but he was not a "fast" reader. The Core F Reader schedule is plenty robust, so I chose to have him read every other Reader. So, for example, when the title Henry Reed, Inc. was scheduled for Weeks 1 and 2, he read it over Weeks 1 through 4. There was all sorts of room for additional tweaking in this area. Sometimes I didn't stick just to the every other Reader plan ... if I saw a Reader that I knew he would really enjoy, but would be skipped under my plan, I simply switched books. Tweak #2: After reviewing the Reader list for Core F, I decided that my then 9th grader needed a bit more challenge. The content of the Core F literature was superb, but not "hefty" enough (in my opinion) for a high school freshman. I considered a number of ways to resolve this issue, and actually settled on a combination of ideas. I did require my oldest to read all the Core F Readers. But I also added in some literature to "beef up" this component of her freshman year. Based on my education plan for her, I knew we would not have time to do Sonlight's Core 200 program. So I chose 5-6 titles from Core 200 that I thought she might enjoy. I simply scheduled them into her year as I felt they fit best. Tweak #3: The Eastern Hemisphere Explorer component of this Core was a great "group" project. My oldest was "in charge" and all three kept their own EHE notebooks. I obviously had different expectations for each child's completed assignments, based on their skill level and what I knew about their strengths and weaknesses (i.e. my middle child is a fluent writer, so I expected her written responses to be in depth and well written). Tweak #4: The Language Arts F writing assignments were definitely above my 4th grader's head, and in some cases, not challenging enough for my oldest. I chose to evaluate each week's writing assignment and decide if it was easier to simply have my youngest skip it, or if I could adjust it to his skill level. More often than not it was easy to make a simple adjustment. For example ... one assignment required students to write a journal entry about a scene from one of the books they had read. After chatting with my 4th grader about what journaling was, I helped him to write a journal entry based on one of the books he had just read. My expectation was that he would generate a paragraph, probably no more than 8-10 sentences, that demonstrated to me his understanding of journaling. I anticipated having to provide a fair amount of assistance. My older two students, however, were expected to write 2-3 paragraphs, well detailed and with few mechanical errors. Finally, reading the History and Read-Aloud titles together as a group enabled us to discuss the story line, be sure that the youngest understood what was going on, and the oldest could demonstrate more detailed comprehension. All in all, our attempts at combining multiple students with one Core program was a success. We took this approach for a number of years and never regretted doing so. 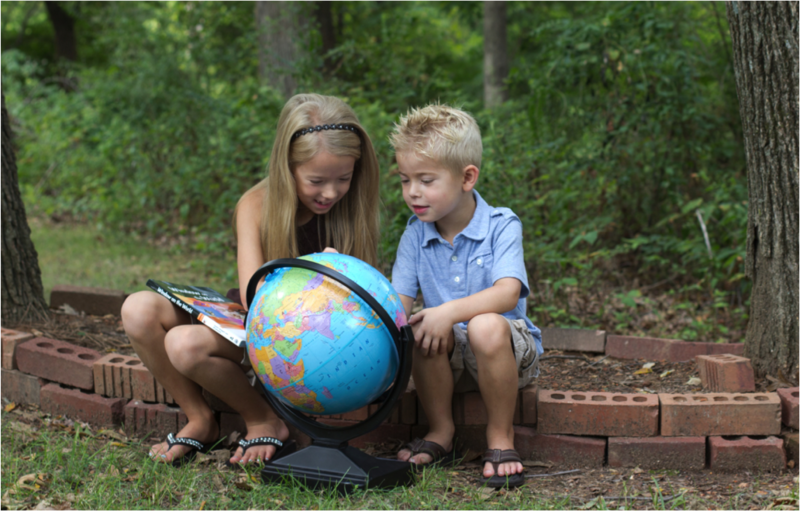 Sharing learning is an efficient and enjoyable aspect of homeschooling! Watch #5: What Is a City? Thank you Judy! We're only homeschooling one right now, and I was just thinking and praying about adding three more of our kids next year, but had no idea how I could make it work without going insane. Thanks for the good ideas! Extremely helpful to see how combining worked even with a fairly large age range. Thanks for all your support, Judy!